I've just finished a project which I've been working on and off on for a while now. 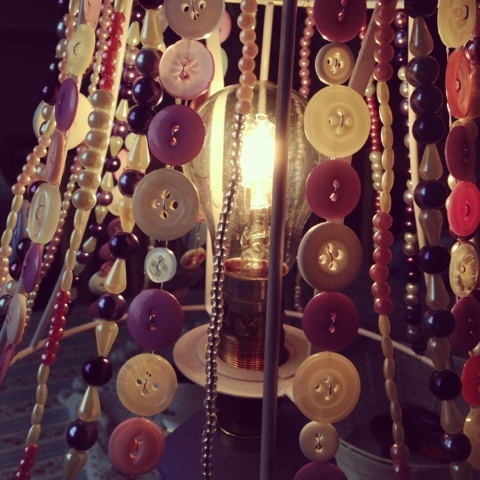 It all started with being given a free lamp which I decided I wanted to use in the hallway. 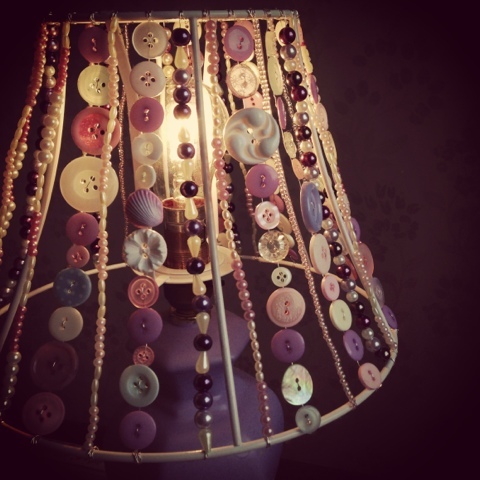 Some inspiration from a magazine gave me the idea of creating a beaded lampshade. 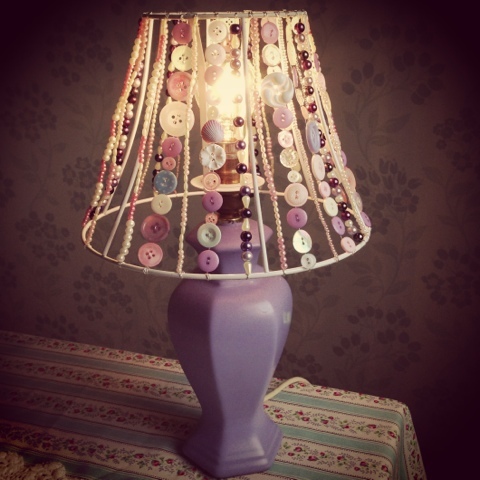 Although our hallway still needs redecorated we have already picked the colours so the lamp would need to compliment the lilac and cream wallpaper we have in the pipeline. 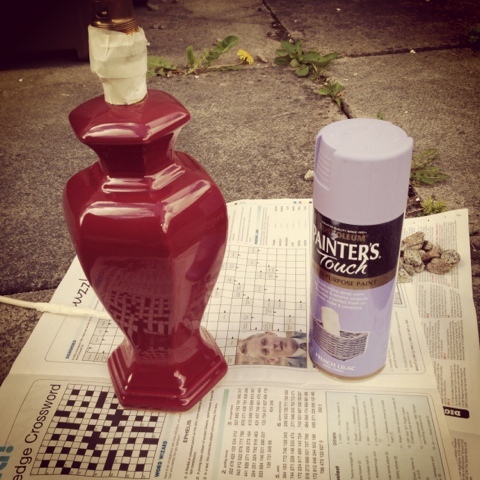 To start I decided to spray paint the lamp base to change it from dark red to lilac. I love a bit of spray painting! It's amazing how much you can transform something with it! Once that was done I needed to create the shade. Ideally I would have got an old shade and stripped it but unfortunately what I wanted I didn't have so I bought a shade and stripped off all the material to reveal the skeleton. Now the fun can begin! 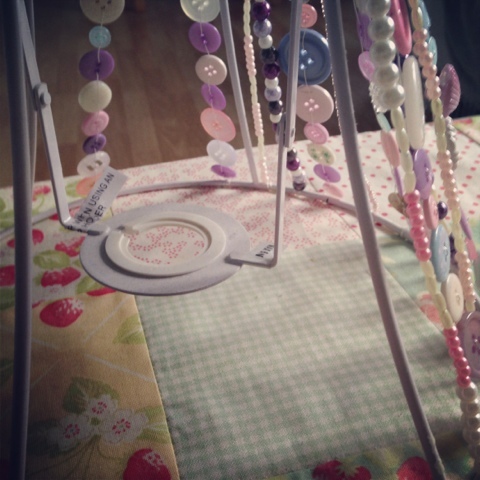 Using jewellery wire and a number of different beads, buttons and pearls I started to build up the shade in pinks, creams, whites and purples. It's not as simple as you think, you need to ensure the wire is tight enough and it took me sometime figuring out the best combinations. 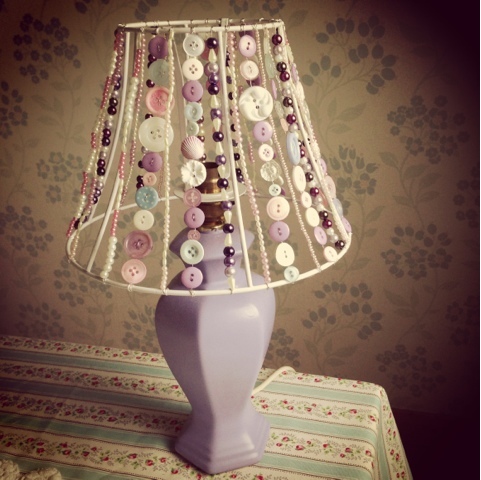 If you fancy something different to the lampshade norm why not give it a go??? ?